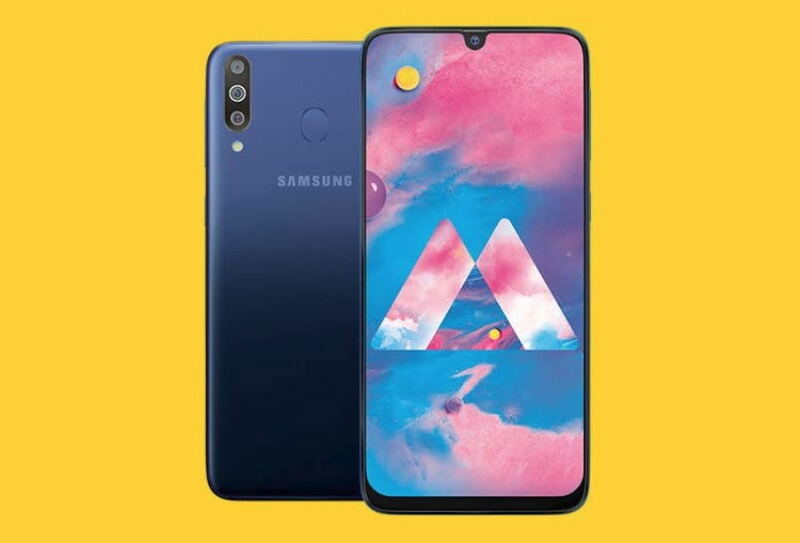 Last month Samsung launched its two new budget smartphone the Galaxy M10 and Galaxy M20 in India with Infinity-V display. Now, Samsung is all set to launch the Galaxy M30 today in India. The Galaxy M30 launch event will kick off in India at 6 pm in the evening. The Galaxy M30 would be the third smartphone from Samsun’s new M series and it follows a similar design to the Galaxy M20 along with a waterdrop notch. Now let’s check out the details we know so far including the design, specs, price, and availability of the M30. The Galaxy M30 features a similar design to the Galaxy M20. The phone features a 6.38-inch Super AMOLED Infinity-V display with support for Full HD+ screen resolution (2220 x 1080 pixels). The Galaxy M30 comes with company’s own Exynos 7904 chipset. In India, the smartphone will come with 4GB of RAM and 64GB of internal storage. There could also be another variant with 6GB of RAM and 128GB of internal storage. Now talking about the cameras, the Galaxy M30 will feature a 13-megapixel primary sensor and two 5-megapixel sensors along with an LED flash. On the front, it features a 16-megapixel front-facing snapper along with support for face unlock feature. The phone will support Dual SIM, 4G VoLTE dual-band Wi-Fi a/b/g/n/ac, Wi-Fi Direct, Bluetooth, a USB Type-C port, and a 3.5mm headphone jack. The device is expected to come pre-installed with Android 9 Pie-based One UI and will be fueled by a 5,000mAh battery. The Samsung Galaxy M30 price in India could start from Rs. 15,000 for the 4GB of RAM and 64GB of internal storage variant. However, we are not yet sure how much the 6GB of RAM and 128GB will actually cost. For its availability, the Galaxy M30 will be available through Amazon India website online, and will later go for sale via offline retail stores across the country as well.